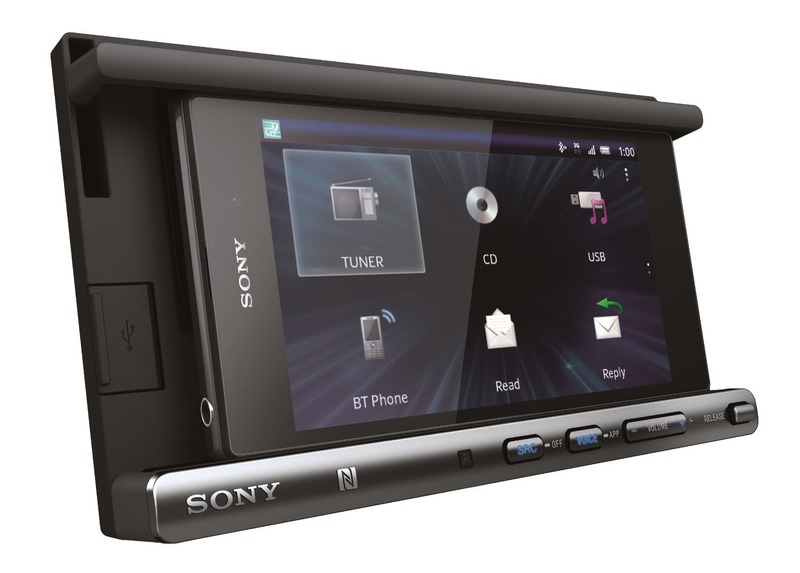 Remember that neato Sony car stereo we checked out at CES, which is basically the perfect receiver for someone who uses their phone for all their in-car entertainment? Well, the XSP N1BT (catchy!) is here. You can buy it from Crutchfield or pre-order it now on Amazon for $249.99, and it will ship out on Thursday the 29th, just barely making Sony's May commitment for release. 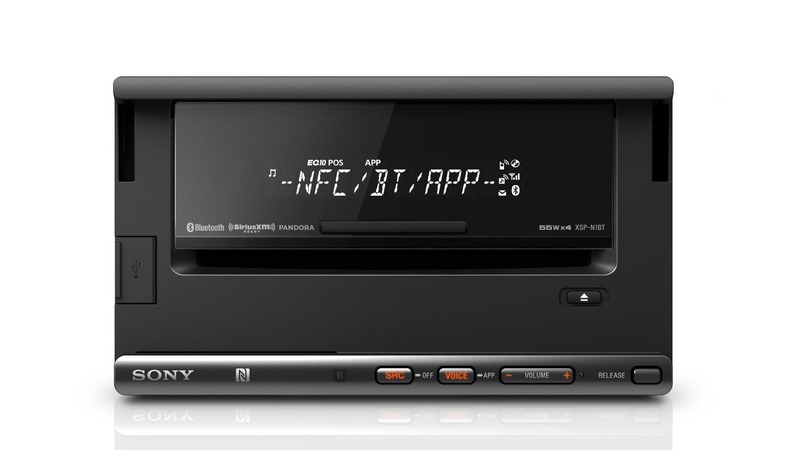 If you don't recall, the XSP N1BT is a Bluetooth-powered receiver that foregoes the fancy color screens of modern car stereos for a tiny dock that clamps onto your phone. 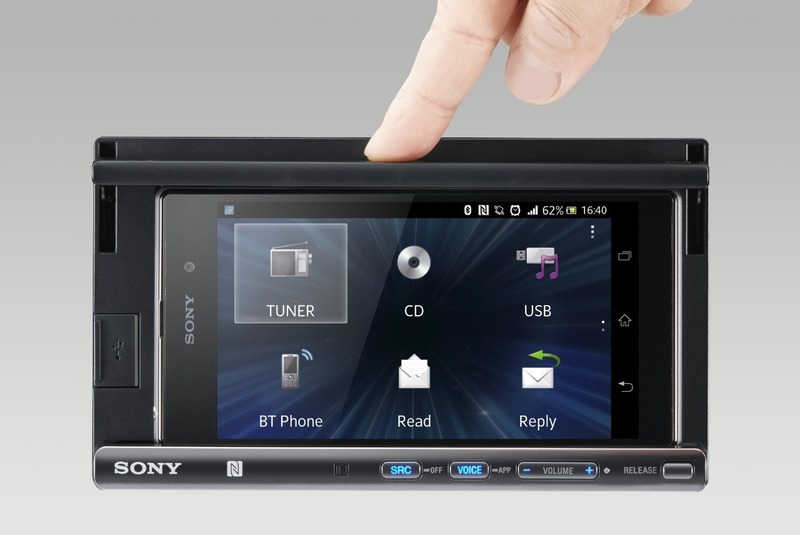 Once it's in, a combination of an NFC pairing element and a custom-made Sony app will let your phone control the stereo if you're listening to AM/FM radio, satellite radio, or a CD. If you'd rather listen to the music on your phone instead, it'll pipe through your speakers via the Bluetooth connection. If by chance you don't have your phone, or someone else is driving your car, it will still be able to function with a basic one-line LCD display. Check out our hands-on video from CES for a closer look. All that being said, $250 is pretty steep for what is essentially a standard double-DIN stereo plus a phone dock and NFC. 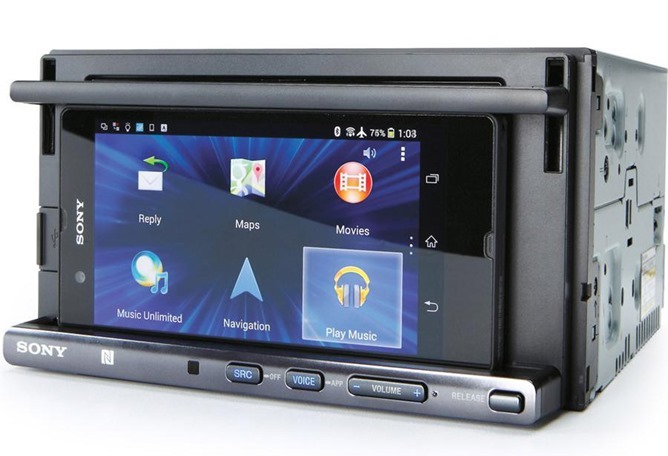 If you've already got a Bluetooth-enabled stereo in your car, it would probably be hard to justify the extra expenditure. A wireless charging module for my DROID MAXX might make me jump on this, but as it is, I'll stick to the cheapo stereo I bought years ago... which, incidentally, is also a Sony. Source: Amazon, Crutchfield - thanks, James Alston and Braden Nida!